Are you searching for a luxury car with the features that you need to have good performance on the road? 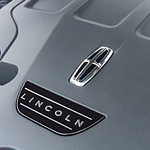 Come by our Puyallup location to find out more about the popular Lincoln Continental and the many features that this vehicle offers to you. Are you looking for full control when it comes time for you to drive your car on less-than-perfect roads? when conditions are not the best, the Lincoln Continental helps you out with an all-wheel drive option. This allows you to make sure that you stay connected with the surface below you even when conditions are bad. There are times when the noise that comes into your vehicle can disrupt your peace and keep you from having a good conversation with your passenger. The Lincoln Continental is outfitted with Active Noise Control so that you do not have to deal with a lot of road noise when driving this car.